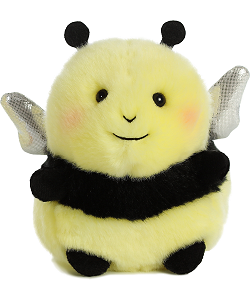 Bee Happy, this adorable little plush bumblebee, is part of Aurora World's Rolly Pet collection and loves to sit or relax in a rolled back pose. 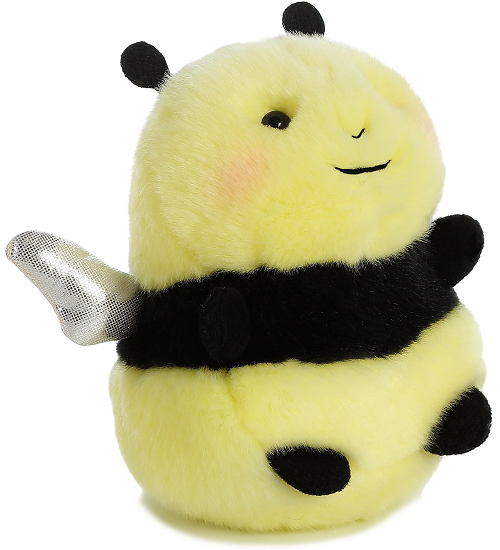 With soft light yellow and black fur, black feet and antennae, awesome shiny wings, and sweet black eyes and blushing cheeks in a ever-smiling face, this Rolly Pet Bee Happy Bumblebee stuffed animal is the perfect size to fit in the palm of your hand and accompany you on imaginative adventures. 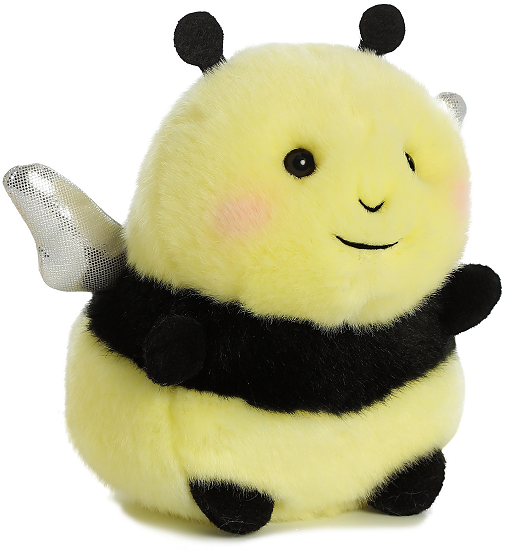 Wear your "Don't Worry, Be Happy" motto wherever you go with this cute and colorful Bee Happy charm. 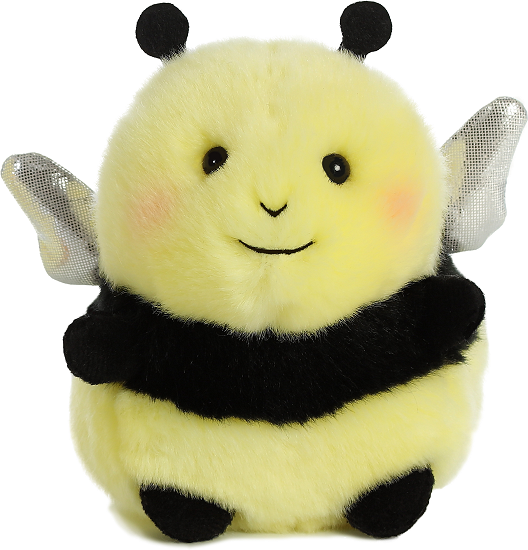 This customizable Bee fabric wall art is a wonderful addition to any barnyard, meadow, or other outdoor landscape.